At FS Legal we have a specialist team with extensive experience of the technical, legal, and practical issues that can arise during construction projects, including claims for overdue contractual payments, damages, and defects in design and construction. Our primary focus is to achieve the most effective commercial outcome for your business. To avoid unnecessary delay and cost we aim to see your project delivered on time and to budget. We are aware litigation can add to the delay and cost of your project so may not always be the best method of resolving disputes. Our team has extensive experience in other forms of resolution including arbitration, adjudication, alternative dispute resolution (ADR), dispute review boards, expert determination and mediation. Where litigation does prove necessary, our clients benefit from our team’s recognised contentious capability and experience in the specialist Technology and Construction Court and we have successfully represented well-known corporate clients against architects, surveyors, engineers, project managers and developers. Counting Morris Homes Group among its clients, FS Legal is particularly well known for dealing with high-value, ‘big ticket’ complex litigation for national corporates and is one of the few truly specialist litigation practices in the country. Our lawyers have both national and international reputation being recommended in both Chambers and Legal 500 as ‘Leading Individuals’. 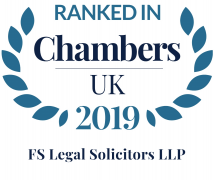 Chambers & Partners note the firm’s “pragmatic, practical and efficient approach” and “determined litigators with a very good sector knowledge”. Legal 500 notes “FS Legal is a firm that punches well above its weight” adding that the team has “a deservedly good reputation for providing a top-quality, commercial service“.